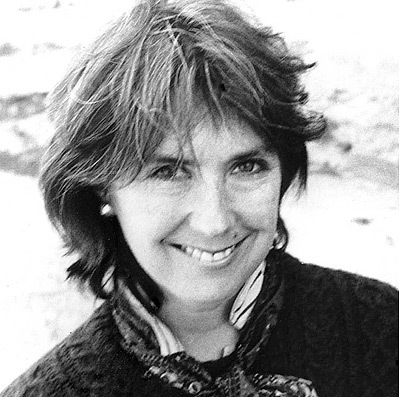 Catherine Frances McGarrigle, peacefully at age 63, at her home in Montréal, surrounded by family and friends, following a three-and-a-half year battle with cancer, borne bravely and fought gallantly, but which nonetheless robbed her of life. Proud, much loved mother of Rufus Wainwright (Jörn Weisbrodt) and Martha Wainwright (Brad Albetta). Delighted grandmother of Arcangelo Wainwright Albetta (born 16 November 2009). Dear sister of Jane McGarrigle, dear sister and sister-in-law of Anna McGarrigle and Dane Lanken. Cherished and generous aunt of Anna Catherine (Bob McMillan) and Ian Vincent Dow, of Sylvan and Lily Lanken. Niece of Jeannette Latremouille, Jeanne Latremouille, Earl (“Chicky”) Latremouille, Harold and Eunice Latremouille, Audrey (Latremouille) Tomlinson, and of many McGarrigle and Latremouille uncles and aunts now departed. Also mourned by many cousins, by teenage sweetheart Christopher Weldon, by former husband Loudon Wainwright III, by former companion Pat Donaldson, by former brother-in-law David Dow, and by a worldwide circle of devoted friends. Brainy, well-read, full of obscure information, forever theorizing in politics, mythology, science, mathematics, literature, history, human relations. Ambitious, determined, opinionated. Impetuous, adventuresome. Lovely, lively, sweet, quick-witted, charming, beautiful. A delight and a challenge to her family and friends. Outrageous at times, but anything was more fun when Kate was along. Third of three daughters of Frank McGarrigle and his wife Gabrielle Latremouille. Born in Montréal, raised in the Laurentian village of Saint Sauveur-des-Monts. Schooled at Ecole Marie-Rose in Saint-Sauveur, Town of Mount Royal Catholic High School, McGill University B.Sc. ’70. She sprang from two families, the McGarrigles and the Latremouilles, where everybody sang. She learned harmony singing from her father and piano from the village nuns. She taught herself blues guitar, claw hammer banjo and fiddle. She and her sister Anna were stars on the Montréal folk scene in the 1960s, in Le Trio Canadien and the Mountain City Four. When they turned to songwriting in the 1970s, they wrote songs for the greatest singers of the era, Linda Ronstadt, Maria Muldaur, Judy Collins, Emmylou Harris. They made recordings that moved and enchanted listeners. They toured the world, played Carnegie Hall seven times, displayed wit, charm, profound musical talent and a Canadian ideal of effortless bilingualism. They sang in French and English whether in Montréal, New York, London or Hong Kong. They won the Order of Canada in 1994, JUNO Awards in 1996 and 1998, the Governor General’s Performing Arts Award in 2004, Lifetime Achievement Awards from ASCAP in 2005 and SOCAN in 2006. Kate and Anna appeared on stage together for the last time in a family Christmas concert at Royal Albert Hall, London, 9 December 2009. Kate loved cross-country skiing, grand opera, Russian novels, cooking Christmas dinner for everyone, and knitting. She loved Stephen Foster songs, the works of Francis Parkman, and Ti-Jean Kérouac. She loved long evenings of singing, talking and arguing. She loved the old McGarrigle place in Saint-Sauveur. She loved her family and her friends. She loved life. Her last three years were immeasurably brightened by the company of her children, who guided her on an extended grande tournée, hobnobbing in the Hamptons, hitting the beach at Rio, doing the Biennale di Venezia. There was Madame Butterfly on opening night at the Met, Parsifal at Bayreuth, La Favola d’Orfeo at Teatro alla Scala di Milano. She was on the tour bus, too, here with Martha in Ireland, there with Rufus in Spain. She always made an appearance in the shows, and she always got a cheer. Sincere thanks to Roger Tabah, Sonia Semenic, Gerald Batist and Peter Metrakos, among many doctors and nurses at the Royal Victoria, Montreal General and Jewish General hospitals, and to Canada’s wonderful health care system. To family members and friends for their many acts of kindness. To Jane, a comfort to Kate, especially in her final weeks. And to Anna, throughout the ordeal Kate’s faithful attendant, ever patient in hospital corridors waiting for Kate and hoping for a happier outcome. Visitation at Alfred Dallaire Memoria, 1111 ouest, avenue Laurier, Outremont, Saturday, 30 January, 7-9 p.m., and Sunday, 31 January, 2-5 p.m. and 7-9 p.m.
Funeral 10 a.m., Monday, 1 February, at the Basilique Notre-Dame de Montréal, Place d’Armes. À 63 ans, Catherine Frances McGarrigle est décédée paisiblement dans son domicile de Montréal, entourée de sa famille et de ses amis, après un vaillant et courageux combat de trois ans et demi contre un cancer qui a fini par lui voler la vie. Fière et très chère mère de Rufus Wainwright (Jörn Weisbrodt) et de Martha Wainwright (Brad Albetta); grand-mère ravie d’Arcangelo Wainwright Albetta (né le 16 novembre 2009); soeur chérie de Jane McGarrigle, soeur et belle-soeur chérie d’Anna McGarrigle et de Dane Lanken; tante généreuse et adorée d’Anna Catherine (Bob McMillan) et de Ian Vincent Dow, de Sylvan et Lily Lanken; nièce de Jeannette Latremouille, Jeanne Latremouille, Earl (« Chicky ») Latremouille, Harold et Eunice Latremouille, Audrey (Latremouille) Tomlinson, ainsi que de nombreux oncles et tantes McGarrigle et Latremouille aujourd’hui disparus; Kate McGarrigle laisse également dans le deuil de nombreux cousins, son amour d’adolescente Christopher Weldon, son ex-mari Loudon Wainwright III, son ancien compagnon Pat Donaldson, son ancien beau-frère David Dow, et un cercle d’amis dévoués de partout dans le monde. Douée, cultivée, source de savoir méconnu, éternelle théoricienne de la politique, de la mythologie, des sciences, des mathématiques, de la littérature, de l’histoire et des relations humaines; c’était une femme ambitieuse, déterminée, catégorique, fougueuse et aventureuse. Adorable, allègre, douce, vive, charmante et belle, elle incarnait ensemble plaisir et défi pour sa famille et ses amis. Parfois provocante, quand Kate était là, tout devenait plus savoureux. Cadette des trois filles de Frank McGarrigle et de son épouse Gabrielle Latremouille, née à Montréal, elle a été élevée dans le village laurentien de Saint-Sauveur-des-Monts. Elle a reçu sa formation à l’École Marie-Rose de Saint-Sauveur, au Catholic High School de Ville Mont-Royal et à l’Université McGill où elle a obtenu un baccalauréat en science en 1970. 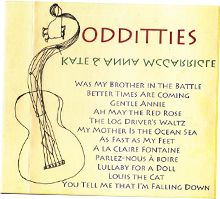 Issue de deux familles – les McGarrigle et les Latremouille – où tout le monde chantait, elle a appris le chant et les harmonies vocales de son père, puis le piano, des religieuses du village. Elle aura appris d’elle-même la guitare blues, le claw hammer banjo et le violon. Kate et sa soeur Anna ont été des vedettes de la scène folk montréalaise dans les années 60, au sein des groupes Le Trio Canadien et Mountain City Four. Dans les années 1970, lorsqu’elles se sont mises à l’écriture de chansons, elles ont fourni des textes aux plus grands chanteuses de l’époque: Linda Ronstadt, Maria Muldaur, Judy Collins et Emmylou Harris. Leurs enregistrements ont touché et séduit le public. Elles sont parties en tournée à travers le monde, joué au Carnegie Hall à sept reprises, rivalisé d’intelligence et de charme, démontré un riche talent musical et représenté l’idéal canadien par leur bilinguisme naturel. Elles ont chanté en français et en anglais, tant à Montréal, qu’à New York, Londres ou Hong Kong. Elles ont mérité l’Ordre du Canada en 1994, des prix JUNO en 1996 et 1998, le prix du Gouverneur général pour les arts de la scène en 2004, le prix d’excellence ASCAP en 2005 et celui de la SOCAN en 2006. Kate et Anna sont montées ensemble sur scène pour la dernière fois à l’occasion d’un concert de Noël en famille au Royal Albert Hall, à Londres, le 9 décembre 2009. Kate aimait le ski de fond, le grand opéra, le roman russe, la cuisine de Noël pour toute sa famille, et le tricot. Elle aimait les chansons de Stephen Foster, les oeuvres de Francis Parkman, et Ti-Jean Kérouac. Elle aimait les longues soirées passées à chanter, discuter ou argumenter. Elle aimait la vieille maison des McGarrigle à Saint-Sauveur. Elle aimait sa famille et ses amis. Elle aimait la vie. Ses trois dernières années ont été grandement égayées par la compagnie de ses enfants, qui l’ont guidée dans une grande tournée, à frayer dans les Hamptons, à faire de la plage à Rio et la Biennale de Venise. Il y a eu la grande première de Madame Butterfly au Met, Parsifal à Bayreuth,La Favola d’Orfeo au Teatro alla Scala di Milano. Elle était aussi du bus de tournée, avec Martha en Irlande, avec Rufus en Espagne. Elle a toujours participé aux concerts, toujours acclamée. She rambled far and wide and took us along. We’ll always have Madonna house and Riviere du loup. Dear Kate, I once even dared to phone to you from Switzerland in the 80’s & you were﻿ so open & kind, I will never forget it! Thanks for all the wonderful spirit you brought into this world. Kate and Anna’s music and poetry gently pulled me to Montreal when I was floundering in Alabama, uncertain where to go next. Their voices, wafting out of a wobbly ghetto blaster, were unlike anything I’d ever heard. Over the years their shows with family and friends, their songs of love found and lost, became the narrative by which we measured our passing years. This past week I worked as Studio Frisson, a studio that Kate had recommended to me years ago. As the tributes to Kate poured in over the internet and newspapers, I found myself gazing at old curling photos of Kate and Anna, taken when they’d recorded there some years ago. Laughing and singing, Kate remains on the studio wall and her music rests in the hearts of us all. What a loss to the world, and to music, this is! I saw Kate several times on stage with Rufus in the UK. Her warmth and charm captivated all of us, together with her musical talent. Her love for her family shone so brightly, and my thoughts and prayers go out to them all, at this very sad time. Rest peacefully Kate. Your memory will be alive through your music, and your wonderful family. You will be so missed by so many. I have had the great pleasure of working with Kate and Anna McGarrigle since 1992. Over the years they have become friends more than clients. Kate was always interested in me, my life and things outside of work and when I was ill myself she, and Anna, were both great supporters. The loss of her gives me great sadness but also to know that I had the honour of knowing her is remarkably special to me as well. RIP Kate, you were so unique, thanks for letting me into your life. The X-country ski trails, bicycle paths, the little skating rink in St-Sauveur will now seem forlorn. I grew up listening to Kate and Anna. My mum played their music all the time and the sound of their voices brings back many memories. I am just a little older than Rufus and Martha and have similar pictures of my family on skis as the one on their Christmas album and concert poster. My heart goes out to them. Canada has lost a great talent, but they have lost their mother. I’m glad that Kate can live on through them and their music and I hope that this brings her family some solace. May we find our way again. I’m just glad to have known her. This world was lucky to see her born. May you soar to even greater heights on the wings of angels, who lead you homeward…to a place of complete peace and joy. My heartfelt sympathy goes to all your dear immediate family, your children Martha and Rufus, your sisters Anna and Jane, Anna’s husband Dane all your nephews and nieces, all the extended Wainwright & McGarrigle family,Pat,all your close friends and all those who knew you. The loss is great. Qu’il est beau ce texte que tu as écrit, Dane, sur Kate, pour Kate- ma Catherine, merci de tout mon coeur, c’est magnifique… et elle était, en effet, magnifique et tu as réussi à mettre des mots pour le dire. dear rufus, as a new fan i thought i was seeing just you at the tivoli in brisbane, australia five years ago. naturally i was a bit annoyed when three women joined you on stage, seemingly running the show, taking their time to chat, tune up, grumble softly (or not so) about this or that. what i got was a much richer surprise than i could have anticipated — you, your mother, your aunt and your sister fascinated me with the family dynamic, giving me a gratifying glimpse into the clan behind the man. i caught your show again in long beach, california a few weeks ago, and was happy to finally get that spectacular solo act. but, as maybe you did, i missed the girls. perhaps easing her pain means we must now carry some in our hearts. i wish you and martha peace and the hugs of so many of us who mourn right along with you. what a gift that you and your mom were able to share such a significant part of each other’s lives. god bless and much love. I grew up with the sounds of Kate and Anna McGarrigle in my ears from the time I was a young child and I have never lost my love of you both. When I was a teenager, it was comforting, even in my rebellious phase, to turn aside from punk music for a bit and listen to the sweet sounds of home. I have seen you both in Ottawa performing at various times and I have seen Rufus in Victoria. Your family has a sweet and powerful legacy and I wish you all the best. Kate will be missed for many years to come. words cannot begin to convey the loss i feel. i am thankful for the years of comfort your music has provided to those of us, without your incredible talents.the world was a better place for you being in it and it will be an emptier place now. thank you for sharing with us. C’est pour toi Kate, fais bonne route. As a life-long Civil War buff, I particularly enjoyed your families’ contributions to the Ken Burns Civil War series “my favorite singers” video. Its a special rendition of “Hard Times” – appropriate for ‘all’ times. I’m sure she’s organized a ‘hoot’ up there by now…joining others who’ve gone on before. Much love…. May you return soon – perhaps as a musician again! 🙂 – and move us with your sparkling intelligence and wit. in our hearts… and always in our souls. I just heard yesterday from a friend that the amazing Kate McGarrigle had passed. It has made me terribly sad for her family…sisters, children, and all of you. Her music always moved me greatly…I was lucky to see her in concert many years ago. I remember seeing her sing “Talk to me of Mendocino” on TV such a long time ago, I think with Linda Ronstadt…and those beautiful harmonies just stunned me. I have wept with other songs of love, life and loss with Kate singing in the background. Her music and beautiful voice will be with me forever. I send my sincerest condolences to all of you close to Kate, and thank the cosmic forces that brought her into my life. I raise a glass to her…. The music of the McGarrigles carried me through hard times working in a hospital and gave me consolation often. Living in Germany I had no opportunity to see her live. I’m really sad. Good bye. Thank you for sharing this with her many anonymous fans. Beautiful obituary for a beautiful human being! We will be with you tomorrow in thought. In thought I’ll be with you and your loved ones, today. Three candles are burning for your dear sister Kate. One for Love, One for Music and one for Eternity. I have written here a few times before, it’s quite strange this heart felt connection, but this morning when I woke and read all the news of Kate’s service, I thought I’d write again, one more time. I read the published excerpts of exquisite words spoken by this remarkable family and of course I cried again! I had said to my family how much I wished I could fly across the world to say goodbye…that was just impossible….but on Wednesday, when you are all sharing the joyous memories of Kate Mcgarrigle in New york we will be at the Sydney Opera House watching another legend and while I’m there I will be be thinking of you all, most especially the divine Kate with genuine fondness as I felt she was part of our family. a short piece For Kate Mcgarrigle, unfinished begun in 2003 – Can be seen at this address. Still play the music which sounds so fresh & authentic at the same time. As if these two sisters from centuries ago leap from your speakers and sing you these oddly modern sounding songs. That’s such a scarce quality. Seems so silly to say I’ll miss her because she’s still here, her records & music are still here, as wonderful, profound & funny as ever. So for me not much will change. For you: family & friends, everything has changed. And I wish you strenght & love. We have lost a voice of spectacular originality, a spirited life force, a source of comfort, charm, thoughtfulness and playfulness and this leaves me utterly bereft. The sweet and spunky voices and lyrics of the McGarrigle Sisters have accompanied me for years; they have been my peers, companions and unpretentious truth-tellers. Et le rythme et l’énergie qui animaient leurs chansons en français m’ont apporté un sens particulier…identitaire… pour les années de vie que j’ai passées en France. Sans lutter contre « la mélancolie m’envahissant, » j’offre mes sincères condoléances aux sœurs, aux enfants, aux compagnons de route ainsi que mes remerciements de cœur pour le magnifique voyage que nous avons fait ensemble. I can’t really add anything to the all the beautiful tributes to Kate however I can say I’ve never been so deeply affected by the loss of someone I didn’t know, except of course through the music but what a gift that music is to us all. Thanks to Anna (& family) for being so strong with the recent happy positive posts of Kate (Cheminant a la ville, the lip synched version on Gardencourt is wonderful) but also for her contribution to a magical partnership that enriched & graced so many people’s lives. Thanks to Anna (& family) for being so strong with the recent happy positive posts of Kate (Cheminant a la ville, the lip synched version on Gardencourt is wonderful)but also for her contribution to a magical partnership that enriched & graced so many people’s lives. Dear Anna and Jane, I’m yet another of your many thousands of fans who has found herself so moved by the loss of Kate. Earlier today, I was reading some of the poetry of John O’Donohue, who was also taken far too soon. in February 2008. This particular poem brought your beautiful Kate to mind. When I first saw the McGarrigle sisters on SNL back in the 70’s I went out the next morning and bought the only two albums the record store had in stock–Kate & Anna McGarrigle and Dancer with Bruised Knees. The morning of her passing, I was thinking about The Walking Song and wondering what was up with you both. Walking beside you I never get the walking blues. Kate walks on in my heart! The world is diminished by Kate’s passing. Her beautiful music has that rarest of qualities – it nurtures my soul and refreshes my spirits. She will always live in this stranger’s heart. So sad to hear of Kate’s passing. Commiserations to family and friends. Too many of my heroes have gone in recent months. …and dedicated to her and all the other great artists who have faced the final curtain far too soon. genuine happiness into the lives of millions of people all throughout this planet. I was truly blessed to have had the blessing of watching and listening to your extraoridnary music, at The Bottom Line & also at Carnegie Hall in NYC. talented human being’s who has ever walked upon the face of this Earth. With The Most Deeply Sacred Respect. May God above shine his love upon You Kate. Also upon all of the beloved individual’s within this most recent life and also Those who have already transitioned into Gods Realm of Heaven. I had the immense pleasure of seeing Kate and sister Ann in a concert in Belfast in 1976 (or 77…) and I have never forgotten that. RIP Kate, thank you for so much movely music. I didn’t know Kate sadly, except through the music but for me, that was a near life long friendship with her and Anna. In the last month, home on the little island in the Med, I have gone back to it all, hardly listening to anything else (except some cajun which I was turned back onto by the lively Porte en Arriere on TMH)- all the albums, all the songs, all the harmonies, all the mysterious melodies and brightly original arrangements. The power of McGarrigle music is unique in my experience – whose other singing makes you fall in love with the people who sing? The beauty of the poetry, the perfection of the song, the magnificence of the voice – how we will miss Kate. We are lucky to have all the music that is preserved. It will last a long time. In my case, all my life. Much love to all her family and friends – feeling the loss I feel, how painful it must be for you. il est de ces gens que l’on connait sans jamais les avoir rencontrés. Kate est ainsi. Sa douceur, son humour passait et passe toujours à travers ses chansons. Nous avions eu la chance d’assister à un de leurs concerts (avec Anna bien sur et aussi Martha en premiere partie) à Paris il y a quelques années. Nous étions ressortis de ce concert boulversés, plus heureux qu en y arrivant. Merci encore pour tous ces beaux moments passés avec vous 2 Kate et Anna. Je crois que je peux dire que nous venons de perdre une amie. In the 1980’s I got acquainted with your song “Complainte pour Ste Cathérine” by a Belgian Flemish programme prestented by Ireen Houben. Most impressive and completely different from the general level of music in Holland or now in France. To-night, listening to BBC2 by internet, I heard another song from you two. Then I learnt also about the death of Kate. I have cried when hearing again, on a linked BBC site, your song “Ste Cathérine” on politics, still so much up to date . I will ask a French friend being frequently in Quebec to try to buy me your 1980 disc or a CD (if ever produced since then). Just to enable me to rejoice your music so particular and really never being equalled by others. Now catching up on History. I guess that as a fan I can can watch videos , or YouTubes of Kate and Anna performing their songs and reliving my own experience as I watched them perform in Hollywood in 1984 . I guess Kate will always remain alive in our hearts !